Hungry Jack Potatoes has been feeding families for nearly 70 years. From the launch of Hungry Jack Mashed Potatoes in 1967 to the innovation of the reheatable microwavable Hungry Jack Syrup bottle in 1994, Hungry Jack has been about gathering families around the table for good times, great food and that delicious Hungry Jack taste. 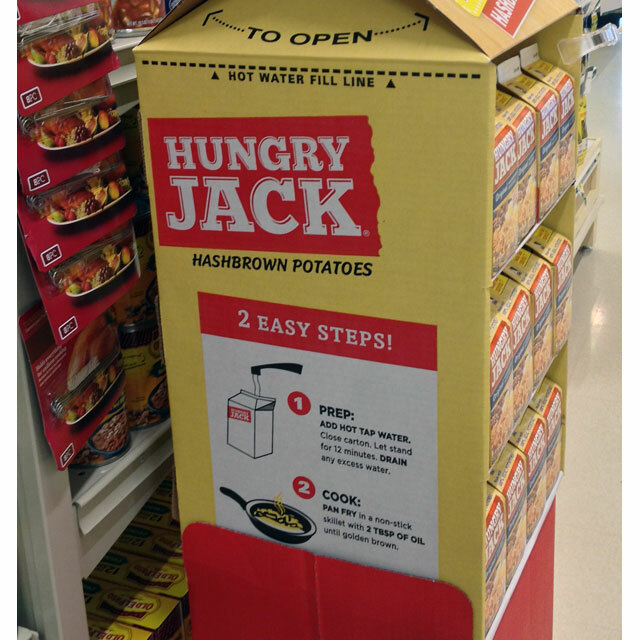 Hungry Jack was recently spotted serving up their Diner Style Hashbrowns with this carton display that mimics the product packaging. 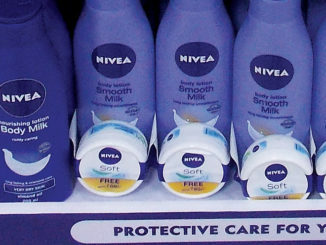 When designing displays that replicate the product, sometimes scale and proportions are difficult to maintain……not the case with this display. 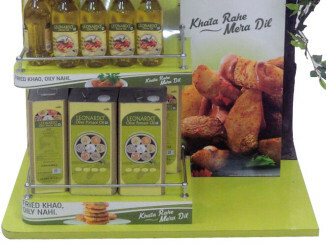 The layout was perfect in achieving a pretty close facsimile to the actual product packs. 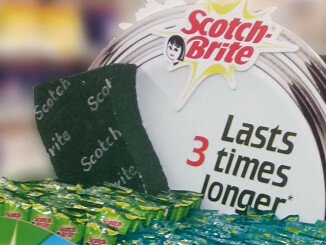 The idea to reproduce the ‘2 Easy Steps’ instructions on both sides was graphically authentic and clever as it let shoppers know that Hungry Jack delivers restaurant-quality hashbrowns in minutes. 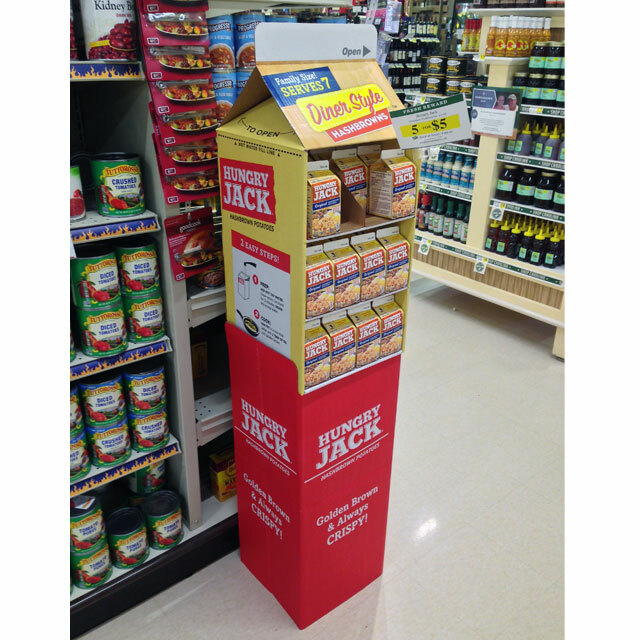 Check out some more Hungry Jack displays using the links below. If you want to view more replica-style displays, visit the image gallery and type the word replica into the search box…….click enter or use the magnifying glass icon to see search results.